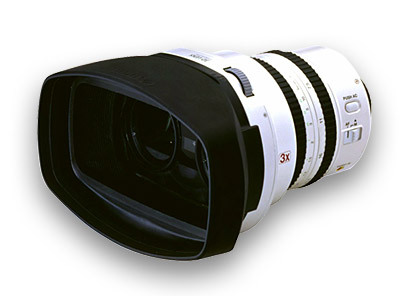 The commercial NTSC-version may become available by the end of 2001 at US$ 8500. The cameras have a built in multiplexer, so the output is either dual full video (one per channel), or field sequential stereo. The developer is out of business. 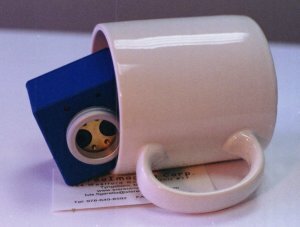 The price recently dropped from $500 to $250, complete with TV-shutterglasses (Oct. 2001). I don't think this model ever hit the market. APEC went for the NuView instead. Found this image on an asian website, don't know which model this is. Looks pretty similar to the APEC prototype shown above. Well it's like shutterglasses for your camcorder eye. 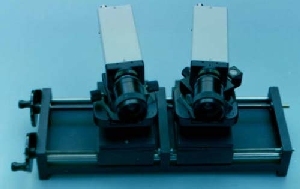 A mirror system puts the camera eye into the center of the light rays of a left and a right eye view. A built-in shutter sees to it that the camera lens gets only one of the views at a time. 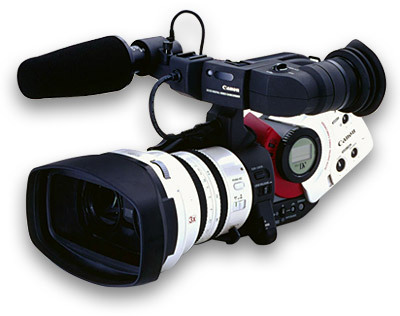 The adaptor is connected to the video-out port of the camcorder so the shutter can sync to the recording (50 or 60 Hz). To understand the technology you first have to understand the television systems. 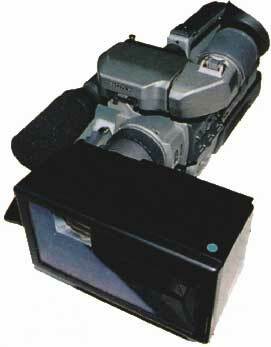 One second of television consists of 25 (PAL) or 30 (NTSC) frames. 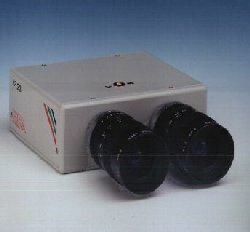 These frames are divided into 50 (PAL) or 60 (NTSC) half frames. One half-frame consists of either all even or all odd lines of a frame. In other words television works in interlace mode by default. 3D-video systems are based on this interlace technique. They use all even-line-half-frames for one eye and all odd-line-half-frames for the other eye. Like any shutterglasses system it's time-sequential stereo3D! 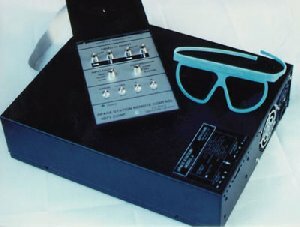 The resulting 3D-video tape is similar to the commercial 3D-video tapes sold over the net and can be viewed with all TV-shutterglasses systems or a video-ready HMD like the i-glasses. No further modification of camcorder, VCR or TV-set required! 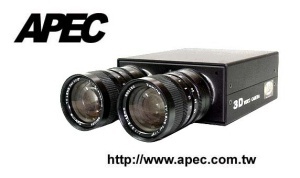 APEC offers a digitizer system to get the video tapes up to the PC. The port to the PC gives you the opportunity to increase the refresh rate (not the frame-rate). 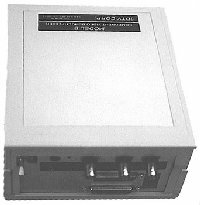 These Converters are used to merge two video signal streams into one 3D-signal or vice versa and to solve several other format problems connected to 3D-video recording and playback. 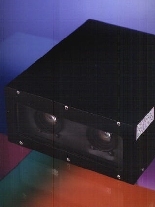 The system accepts PAL and NTSC input signals which can be composite video, Y/C (super-VHS) or RGB. 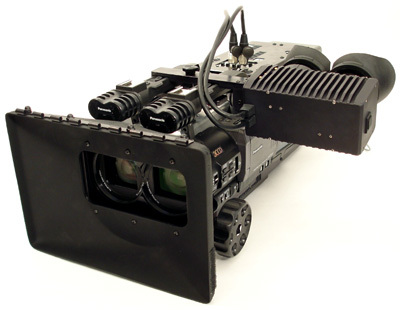 With the independent freeze function it is possible to use only one camera to achieve 3-D images by moving either the object or the camera. Demultiplexers moved to Projection-Page ! Brand and product names are trademarks or registered trademarks of their respective holders. Some images are taken from the official product websites. The author can not guarantee the accuracy of the information given on this page.